Final Call News and Analysis with Sis. Charlene Muhammad: It's been a busy couple of weeks...not over yet. While I was in Nashville, Tennessee at the Minority Writers Seminar last week, I began gathering data for the current Final Call cover story. It was a trip because we had a bit of 'bad' weather there, but that was heavy rain and thunder - nothing like what North Carolina, Alabama and Mississippi experienced. (FinalCall.com) - Severe weather can strike at anytime and in recent days, a storm system of tornadoes pummeled several southern and Midwestern states. The storms left millions of dollars in damages and took lives in what has been described as one of the worst storm series in decades. 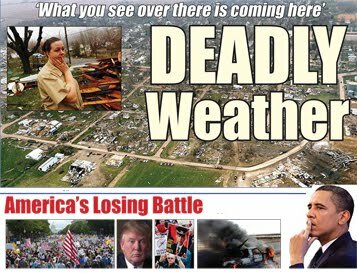 These severe weather outbreaks also follow divine warnings from the leader of the Nation of Islam about God's judgment against America in recent weeks. Read the full story here at www.finalcall.com. Not fully back into the swing of things since the trip and I hit a little medical snag this week but can't stop. 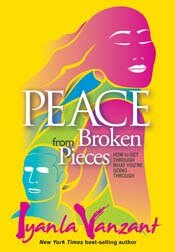 I've got articles on incarceration and on colleges in the works and I need to decide how I'm going to chose two winners of Dr. Iyanla Vanzant's book ("Peace from Broken Pieces: How to Get Through What You're Going Through") for my radio show tomorrow. She'll be my special guest and taking your calls so get in early (818-985-5735 is the call in number). Any ideas? Please post them.